British Gas is one of the Big Six energy suppliers dominating the market in the UK. It provides gas and electricity for around 12 million homes. The company dates back to the early 1800s but it didn’t become British Gas until the late 1800s. It has been a subsidiary of Centrica since 1997, along with Scottish Gas in Scotland. British Gas also offers boiler, plumbing, and home appliance services. Many British Gas customers pay for their energy supply with a gas card or electric key. Topping up the credit on their meters is difficult without them. If you have lost your Britsh Gas card or key, this guide is here to explain what to do. Use the information in it to get a replacement British Gas card. If you have lost your British Gas payment card, it is fairly easy to get a new one. Log into your online British Gas account and go to the fuel type. Select Manage Account > Your Payments > Order a New Payment Card. Confirm your delivery address and name and submit the details. You should then receive the new payment card in the post within 10 working days. You can make payments online or over the phone if you need to do this before your new card arrives. Register for an online account using your Customer Reference Number if you don’t have one already, then you can follow these steps. This does not apply for Pay As You Go cards and keys, so check below for these. Getting a replacement card for your British Gas meter will be a different process than the one above. You will have to get a replacement card from a PayPoint outlet. Not all PayPoint locations offer this, so you should call to check before you actually go. You can call British Gas on 0843 557 3384 to get help with finding the closest participating PayPoint. Alternatively, you can request a new Pay As You Go card over the phone and British Gas will send it to you in the post within 3 working days. However, ordering a replacement meter card over the phone could incur a fee. It’s free to get a new card from a PayPoint outlet. When you do get a replacement card, you will have to leave it in your meter for 1 whole minute to activate it before you can top it up. Then you can continue to use your card as normal. Getting a replacement British Gas electric meter key is a slightly different process again. First of all, you will need to make a note of your meter serial number. This is the number starting with S or F which is usually below the screen beside the barcode. 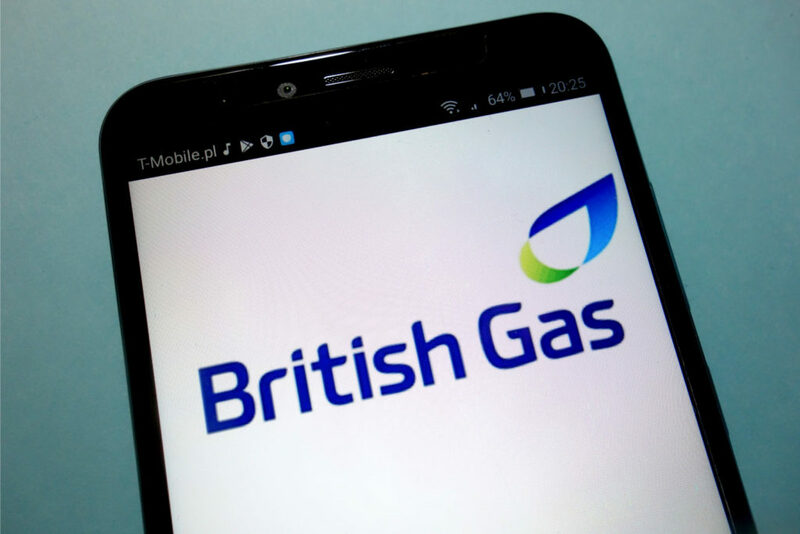 Call 0843 557 3384 to connect to British Gas and they will provide you with a unique reference number after you explain the situation and provide your customer details. Then after waiting at least 30 minutes, you can go to your local PayPoint outlet to collect your new key. Give them the reference number and they will give you the replacement key ready for you to activate and top it up. You cannot just go to a PayPoint and ask for a new electric key like you can with a gas card. You must call British Gas so they can organize it and give you a reference. If you have a smart meter and are a Smart Pay As You Go customer, you will have a smart card. However, you can top up in a variety of ways without having to take your card to a PayPoint shop or the Post Office. You can top up online, through the app, or over the phone. The credit should appear on your meter within an hour of making a top-up transaction, but you can enter the top up code manually if it doesn’t. You can get by just fine without the smart card, unless you prefer to top up manually with it when you go to the shops. To request a new British Gas smart card, you can call 0843 557 3384. They will send the replacement card by post and you can expect this to arrive within 10 working days. They might charge a small fee for it, though. You can also call British Gas to enquire about upgrading to smart meters. This is a good idea if you would rather avoid relying on a physical card or key too much. How much is a British Gas replacement card? When you order a replacement British Gas payment card online through your account, this service is free. It is also free to go to a PayPoint outlet and ask for a new gas meter card if yours is lost or not working. Equally, it should be free to get a reference number in order to collect a replacement electric key from your closest PayPoint location. If you call British Gas and ask them to send you a new card in the post, this is generally not a free service. They might charge you £5 for a replacement British Gas card when you order one this way. This amount will normally be added onto your next bill or taken from your credit balance. Make sure that you have enough credit to cover it if possible. How do I get my British Gas credit back? If you lost your British top up card before transferring the credit it on it to your meter, try not to worry. As long as you have proof of purchase, such as a receipt from the PayPoint outlet or Post Office, then you should be able to get the lost credit back as well as getting a replacement card. Simply call British Gas and tell them how much credit was on the card. You can do this when you call to get a new card. You will usually have to provide a receipt number so that British Gas can check the amount is correct. They will then refund this amount onto the new card or key. If they are sending the replacement to you in the post, it might incur a £5 fee, so it might not be worth claiming the credit back if it was this amount or less. You could write off the £5 and visit a PayPoint to get a new card for free.